Heat is becoming a bigger problem for chips developed at new process nodes and for automotive and industrial applications. Thermal monitoring is becoming more critical as gate density continues to increase at each new node and as chips are developed for safety critical markets such as automotive. This may sound counterintuitive because the whole point of device scaling is to increase gate density. 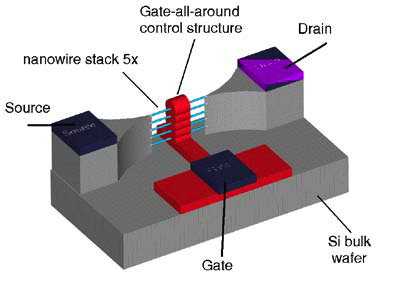 But at 10/7 and 7/5nm, static current leakage is becoming a bigger issue, raising questions about how long finFETswill last before being replaced by gate-all-around FET. In addition, dynamic power density is increasing with gate density. Both of these factors are causing a growing list of problems ranging from thermal hotspots to noise. In large SoCs, thermal variation between blocks in large SoCs can be drastic-sometimes as much as 40 to 50° C (104 to 122° F). Temperature has an adverse effect on the reliability of devices, but not necessarily in expected ways and not always immediately. Thermal issues have been well documented in device scaling, but they are getting significantly more difficult to address at each new node. Also, with increasing adoption of advanced packaging, thermal effects such as thermal coupling across chips are becoming a concern. “Needless to say, thermal-induced stress/fatigue are also a challenge when it comes to the copper pillars, solder joints and other thinner geometries used in 2.5/3D packages,” he noted. The issues are potentially more acute in automotive applications, where chips are being developed at 10/7nm for the central logic in assisted and autonomous vehicles. Most thermal modeling for advanced-node chips occurs in devices such as a smart phone, which shuts down when left in the hot sun until it reaches an acceptable operating temperature. But automotive electronics need to function under all conditions, and temperatures under the hood are sometimes extreme. 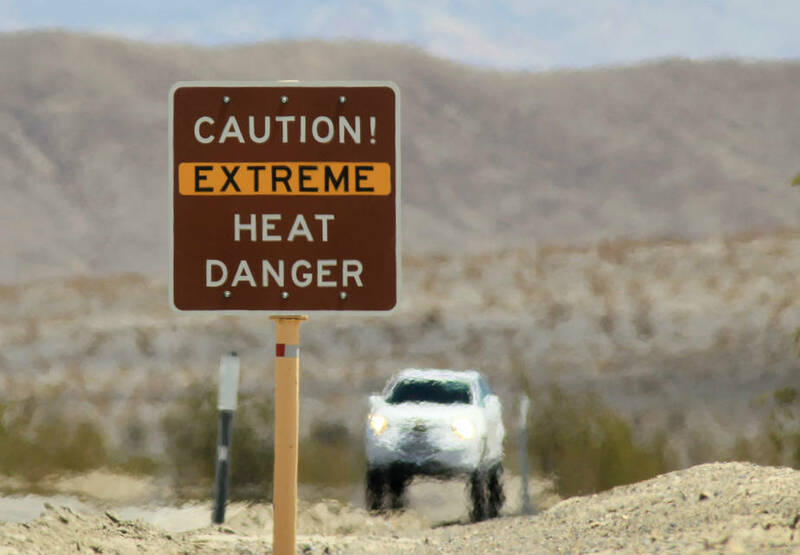 In desert regions in some parts of the world, ambient temperatures of 140º F (60º C) are not uncommon during the hottest months. This is why automotive is becoming such an active market for identifying thermal effects for a variety of applications inside the vehicle, including high-power ICs. This resulted in close work with ST on electro-thermal co-simulation technology. This technology is used on chip designs today with very high power devices on the same IC with digital logic, such as for anti-lock brakes or any motor actuation that takes a lot of current. “This is even without talking about an electric motor driving the wheels,” said Tegethoff. “This is something that rolls the window up and down, or moves the seat, or puts on the brakes. There more interest than ever in this approach for all kinds of SoCs, from high reliability applications to safety and industrial applications. But it’s not the only approach. Another way to accurately monitoring thermal conditions on an SoC is by using a locally placed, responsive embedded temperature sensor. This gets more difficult as SoCs are integrated into subsystems that are used in advanced packaging because thermal effects there are more difficult to predict. Heat resistance will increase through the package stack as some of the die will not have direct contact with a heatsink. Also, when two cores are operating close to each other on different substrates, unexpected hotspots can occur that push both over their thermal limits. Hotspots are likely also to lead to a more rapid aging in some regions of the SoC giving rise to unexpected early failures in the field. A problem that faces engineering teams is they lack the data needed to identify where such hotspots will form. Engineering groups are looking for extensive TCAD/FEM simulations on real designs (or at least critical portions of it) to truly assess the impact of thermal stress, ANSYS’ Srinivasan said. All of these effects are cumulative, too. In a system, thermal budgets are additive, and that system can be as large as the Falcon Heavy rocket, which was just tested by Tesla founder Elon Musk’s SpaceX. According to the company, Falcon Heavy is the most powerful operational rocket in the world by a factor of two, with the ability to lift into orbit nearly 64 metric tons (141,000 lb). That mass is greater than a 737 jetliner loaded with passengers, crew, luggage and fuel. Falcon Heavy’s first stage is composed of three Falcon 9 nine-engine cores, whose 27 Merlin engines together generate more than 5 million pounds of thrust at liftoff, equal to approximately eighteen 747 aircraft. All of that thrust generates a tremendous amount of heat. The takeaway is that thermal effects need to be anticipated in context of other parts of a system, regardless of whether that system is an autonomous electric vehicle or a rocket. And as semiconductors find their way into new devices and take on new roles in existing devices, there is a lot of work ahead in terms of modeling thermal effects within a device, as well as characterizing these devices in the context of other devices, systems, and use models that today may not be fully understood or accounted for.